Tacitus was one of Rome’s leading orators in the late first century A. D. He wrote a Dialogue on Oratory, lamenting the decline in that art in his day. He was married to the daughter of Gn. Julius Agricola, governor of Britain 77-84. Tacitus wrote a biography of his father-in-law, who aroused Domitian’s jealousy and was recalled by the emperor in 84. At the end of the book Tacitus hints that Agricola might have been poisoned. Tacitus’ Annals and Histories are our main sources for information about the Roman Empire in the first century A. D., although large chunks of both are now lost. 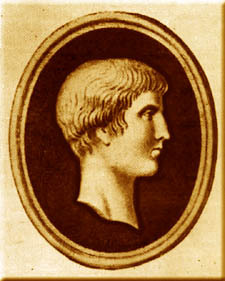 Pliny not only wrote the two letters about the eruption of Vesuvius in 79 to Tacitus, but also a number of short notes which, I believe, indicate the level and duration of their friendship. 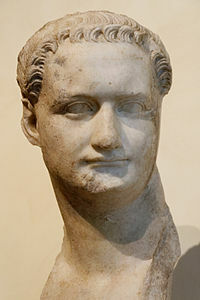 Domitian became emperor in 81 when his older brother Titus died, perhaps with some assistance from Domitian. Vespasian, father of the two brothers, had been a successful ruler and Titus was considered “the darling of the gods.” Domitian never lived up to their standards. His military campaigns were largely inconsequential and his relations with the Senate were always tense. Toward the end of his reign he arrested more and more people on suspicion of plotting against him. He executed his cousin Flavius Clemens and banished Clemens’ wife. Finally Domitian’s wife and a few of his close advisors formed a plot to assassinate him, which succeeded in September of 96. Many of Pliny’s letters were written while Domitian was emperor, but it was not until after the despised emperor’s death that Pliny began to vilify him. 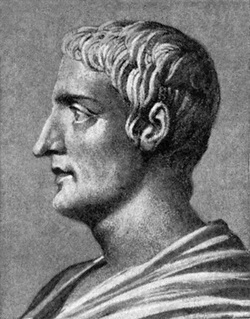 Gaius Valerius Martial was one of Rome’s most popular poets in the late first century A. D. He perfected the epigram, the short, witty poem that could bring a groan or a laugh from the listener. Pliny mentions his death in one letter and reveals that he had given Martial money to return to his native Spain. He appreciates the wit of Martial’s poetry but does not believe it will endure. He is flattered that Martial mentioned him in his poetry. 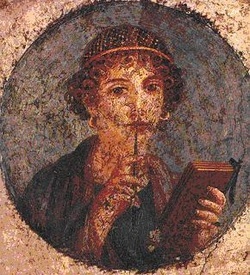 A servant and confidante of Plinia and mother of Pliny's scribe Phineas.. They are Jewish, taken captive at the fall of Jerusalem, and Pliny is concerned that Naomi (also called Niobe) might have too great an influence on his mother. A fictitious character, but for my purposes Pliny's closest friend among his servants. They have grown up together; Aurora's mother was the mistress of Pliny's uncle. Aurora first appeared in the second book, The Blood of Caesar, and has taken a larger role in each succeeding book. In the fifth book, The Eyes of Aurora, she speaks in her own voice in some sections. Wife of Tacitus and daughter of the general Julius Agricola, one of Domitian's bitterest enemies. Tacitus mentions her being alive as late as the mid-90s. Mother of Pliny's first or second wife. She is a widow by the time she appears in Pliny's letters. He writes to her several times and mentions her in a few other letters. He actually refers to his mother-in-law more often than he mentions his mother. Pompeia owned several country villas, including one at Narnia which seems to have been particularly nice. Pliny never mentions the name of Pompeia's daughter, so I have dubbed her Livia in these novels.